Now in its 8th installment, the annual Jerusalem Festival of Lights is scheduled this year for May 25-June 2. The festival takes place in Jerusalem’s Old City and last year drew 250,000 visitors during its week-long run. 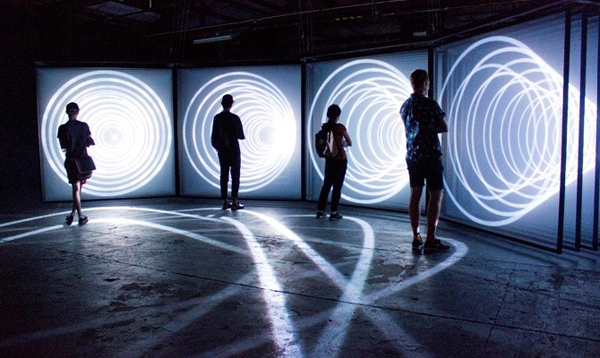 Local and international artists contribute light sculptures, sound and light displays, images and videos projected on walls, street performances, and stage acts. Brilliant light and color playing against dark stone walls and penetrating the labyrinthine heart of the ancient city is magical. If you’re in town during the festival, don’t miss it! Lights are ablaze every night 8-11pm, except Friday. Entrance is free of charge. 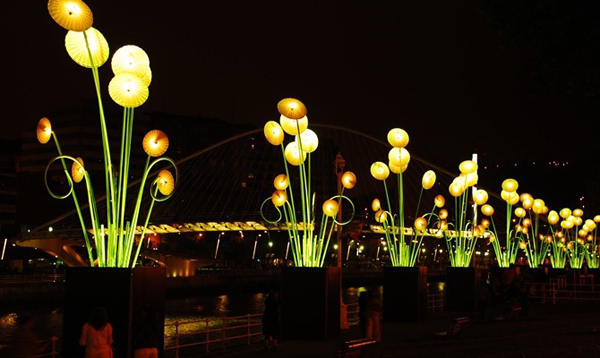 Created by French artist Damien Fontaine, this installation is inspired by the classic children’s book “The Little Prince” and tells the story of a prince destined to return light to the world. Martin Adin of Pyromania paints abstracts on the walls of the Old City. Childhood memories meet aesthetic design as Italian artists Gloria Ronchi and Claudio Behngi present dozens of handmade origami pieces colored with LED lights inside. 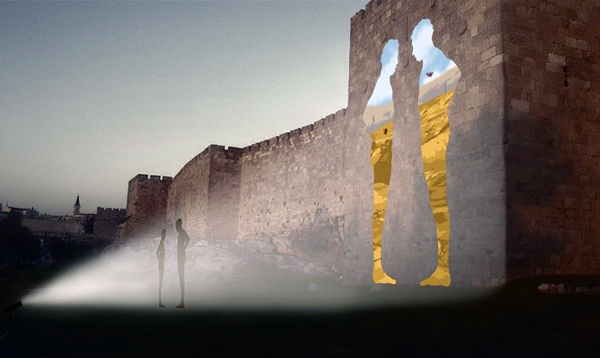 The Jerusalem AVS group presents a stunning visual show featuring a robot dancing as the lights create the different seasons around it. This entry was posted in art and artists, Holidays & Festivals, Israel by yalla2013. Bookmark the permalink.